We’re proud to announce the creation of the Office of Diversity and Inclusion as part of the Office of the CEO of CommonSpirit Health. Rosalyn Carpenter will serve as our Chief Diversity Officer; she previously held a similar role at Catholic Health Initiatives. 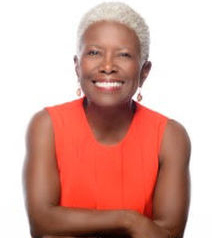 Rosalyn is a visionary diversity and inclusion leader, a nationally recognized change agent, and highly skilled in building cultures of inclusion. She brings a wealth of community experience to this role. 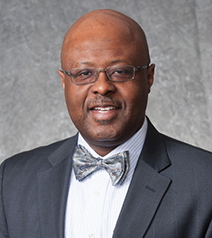 Current affiliations include the Robert Woods Johnson Health Policy Center at Meharry Medical College, the Catholic Health Association Special Committee to the Board on Diversity and Health Equity, and National Minority Supplier Development Council Healthcare Industry Group. The Office of Diversity and Inclusion is dedicated to ensuring we respect human dignity in every interaction with each other and with the individuals and communities we serve. 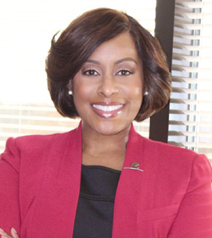 Under Rosalyn’s leadership, the Office of Diversity and Inclusion will promote diversity within our workforce, foster an inclusive workplace culture, identify barriers to equitable care, facilitate diversity and unconscious bias training, and create access to business opportunities for women, ethnic minorities, and veterans. In fact, we intend to build a world-class supplier diversity program across our supply chain and purchased services functions. 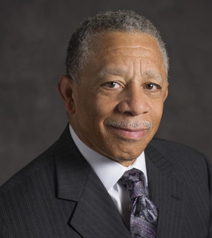 WASHINGTON, D.C. (March 21, 2019) – The American Hospital Association (AHA) today announced that its 2019 Award of Honor will be awarded to John W. Bluford, III, founder and president of the Bluford Healthcare Leadership Institute (BHLI) for the organization’s leadership in professional workforce development, diversity, and health equity. The award, presented on April 8 at the AHA’s Annual Meeting, is given to individuals or organizations in recognition of exemplary contributions to the health and well-being of our nation through leadership on major health policy or social initiatives. In 2013, Bluford founded the BHLI to develop a talented pipeline of culturally competent scholars for leadership roles in healthcare who will serve to address long standing disparities and social-economic determinants of health among vulnerable patient populations. Since its founding, the BHLI has transitioned more than 40 of its graduates into health care professions and/or graduate programs in the health field. Bluford’s work with the BHLI is a reflection of the visionary contributions he has made across the field. Previous Award of Honor winners include Sister Carol Keehan, president and chief executive officer at Catholic Health Association of the United States; George Halvorson, chairman and CEO of Kaiser Permanente; and Donald M. Berwick, M.D., former administrator of the Centers for Medicare & Medicaid Services and former president and CEO of the Institute for Healthcare Improvement. Chara Stewart Abrams wanted to work in healthcare so she could help “make the world a better place for those with few opportunities and no viable voice.” But she also knew she didn’t want to work on the side of healthcare that dealt with blood and broken bones. 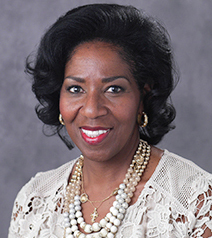 The middle ground was working in public health and eventually moving in healthcare administration, where she finds herself today as the administrative director of the department of psychology at St. Jude Children’s Research Hospital in Memphis, TN. “I oversee the operational leadership of the department, including business and research. This allows our researchers and staff to focus on what’s important: to cure cancer and create a better quality of life for patients,” says Stewart Abrams, who has a master’s degree in public health. With the organization for seven years, Stewart Abrams has played a vital role in building the department’s infrastructure and establishing its foundational policies and procedures; the department had only been in existence for a year when she took the role. While she’s led a variety of projects, one of the most impactful has been the conversion of the department’s paper-based mental health records to electronic records. “What drew me was the ability to work in a place where you’re working with faculty and employees who want to provide patients with the best care, regardless of their ability to pay,” she points out. 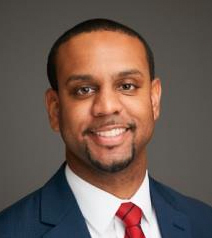 Driven by an experience as a child, Corwin Harper was motivated to open the door of healthcare to all people. Harper is the senior vice president and area manager for the Kaiser Permanente Central Valley area in Northern California, which covers two counties and 367,000 Kaiser Permanente members. In this role he serves as the senior health plan executive, as well as the CEO of two hospitals. “I ensure all hospital operations run efficiently and smoothly, and take care of members, providing access to care for those who have opted into the Kaiser Permanente health plan,” says Harper, who’s worked for the company for 22 years. Right now Harper is working to expand access for members in the region by writing business cases to add capacity, including mental health facilities and medical office buildings. “These facilities are needed to support and give greater healthcare access to members,” he explains. Access to healthcare is Harper’s passion, driven by an experience from his youth. Growing up in the South in the 1960s, many medical offices had removed signs that designated waiting rooms for “whites and coloreds,” as was the terminology then, but the practice of separation still held. One day when Harper was having a life-threatening asthma attack, his mother opted to take her son in through the “whites only” door. In 1962, long before she was a doctor or a missus, Maude Brown was a sensible new high school graduate searching for a college. The University of Florida wasn’t on her list, though. It didn’t matter that UF was only 70 miles from her home in Jacksonville. Or that it was affordable. Or that its academic reputation was on the rise. It was a practical critique. George Starke had become UF’s first black student just four years earlier. Until then state law had banned Floridians who looked like him and Dr. Lofton. To keep Starke safe that historical September 1958, Gainesville policemen watched over his home at night and undercover troopers from Florida Highway Patrol sat in on his classes. So when seven other black students enrolled in the university in fall 1962, the future Dr. Lofton wasn’t among them. Instead, she went north to Spelman College in Atlanta. There, whenever she could, she’d slip from campus to listen to Dr. Martin Luther King Jr. preach at nearby Ebenezer Baptist Church. Inside that red-brick church in the city’s Sweet Auburn neighborhood, she and her friends shared a Dream that became a movement: civil rights in the Deep South. With a bachelor’s degree in sociology and public health, a Master of Public Health in health management and policy, and a doctorate in public health, Nicole Cooper, DrPH, MPH, has held healthcare positions in a national health and well-being company, in Medicaid managed care organizations and at Humana where she helped to lead evaluation projects focused on the company’s work to improve the health of communities. For four years prior to joining UnitedHealthcare, she was an advisor to senior federal health officials at the U.S. Department of Health and Human Services (HHS). 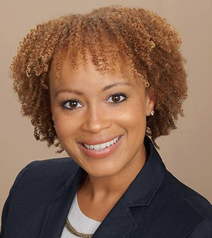 She came on board as director of strategic initiatives in UnitedHealthcare’s Medicaid business. “I chose public health as my career focus because of my deep passion for healthcare,” says Cooper. In her first role at UnitedHealthcare, the Minnetonka, MN- based, American managed healthcare company, she led the strategic establishment of the Hawaii Accountable Health Communities (AHC) model, funded by the Centers for Medicare & Medicaid Services (CMS), which Nicole Cooper, DrPH, MPH is vice president of social responsibility at UnitedHealthcare. focused on facilitating systematic social needs screenings, referrals and navigation within clinical sites across Honolulu. “I forged strong collaborations with various community-based organizations and the state Medicaid agency in Hawaii to begin integrating healthcare and social services, and to utilize data more efficiently to meet the needs of Medicaid and Medicare populations,” she explains. Parkridge Health System hired John Baldwin as market associate administrator and co-ethics and compliance officer. Working closely with Tom Ozburn, Parkridge Health president and CEO, Mr. Baldwin has administrative oversight and responsibility for support services – which include environmental services, food and nutrition services, plant operations, security and the chaplaincy program – at Parkridge Medical Center and Parkridge West Hospital. Mr. Baldwin also oversees construction projects across the six-facility health system.